Loved that it was so near the beach. Very central to restaurants etc everything was in walking distance. The apartment was modern and clean. Very easy to find when we first arrived and easy access to keys etc. Location was excellent - just walk across the patio, through the rear gate and then 50 yards to the sea front where there were magnificent views of the waves and surfers. 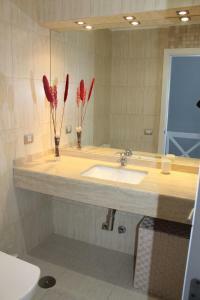 Very centrally located which made it easy to get to supermarkets and surrounding shops. Lots of places to walk. We have been going to Tenerife for over 18 years but this was probably the best situated of all the places we have stayed at. Location amazing and a lovely clean apartment. Lots of fridge space. Proximity to restaurants beaches, shopping fabulous. Nice complex, nice pool and the apartment is perfectly placed in the heart of everything. Not that professional and points at perhaps the type of people she is used to dealing with. Location was amazing. Apartment was big and modern. The price was very reasonable. The setting, the pool area, the apartment and it’s facilities! 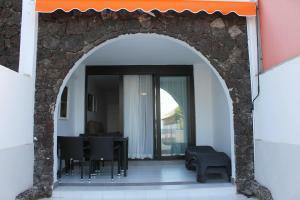 The apartment is well located, next to the beach with easy access to the swimming pool and supermarket. Well equipped for 4-5 guest. Did not meet the owner, only email communication which I prefer. You can book with confidence. 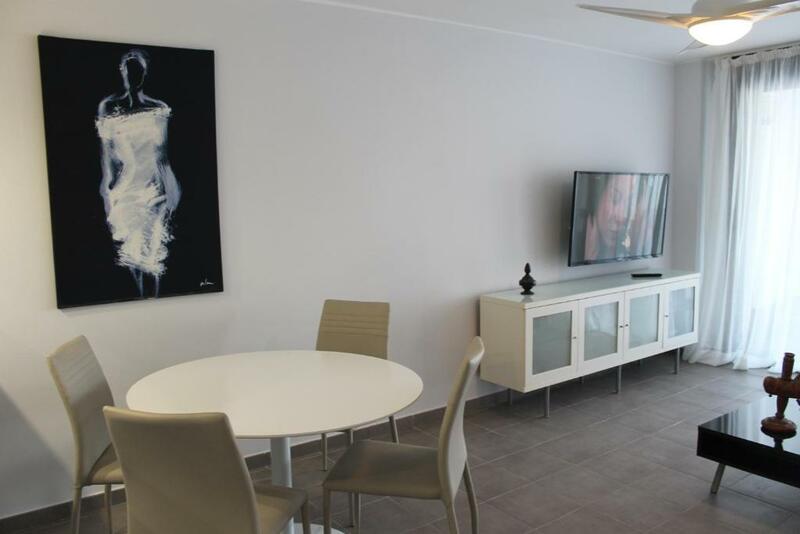 Apartment was basic but it was clean and tidy and it was in a great location with great views offer the sea. One of our best sellers in Playa de las Americas! Located in Playa de las Americas, 1.1 miles from Piramide de Arona convention centre and 1.4 miles from Siam Park, Parque Santiago 2 offers free WiFi. The apartment is 1.3 miles from Safari Shopping Centre. The apartment includes a kitchenette with a microwave and a toaster, as well as an electric tea pot. A flat-screen TV is provided. Parque Santiago 2 has an outdoor pool. The accommodation has a terrace. Chayofa is 3.5 miles from Parque Santiago 2, while Veronicas Strip is a 10-minute walk away. The nearest airport is Tenerife Sur Airport, 11 miles from the apartment. 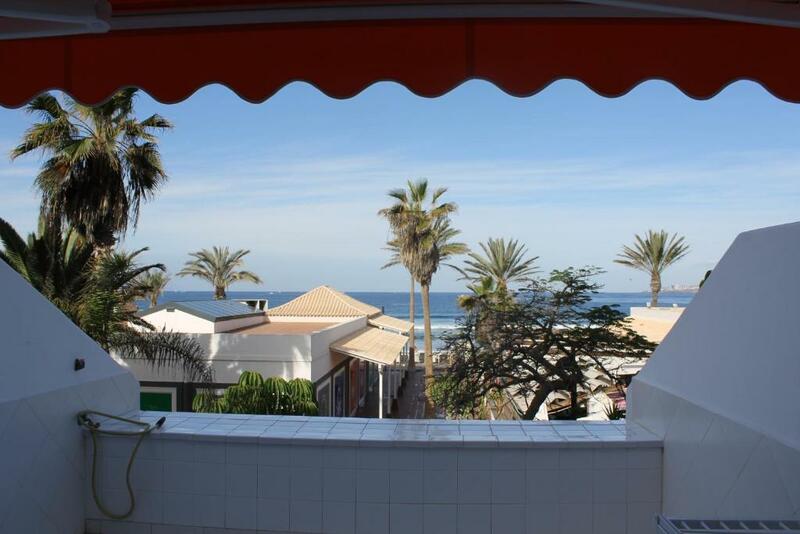 뀐 Located in the top-rated area in Playa de las Americas, this property has an excellent location score of 9.3! When would you like to stay at Parque Santiago 2? This apartment has a stovetop, seating area and flat-screen TV. House Rules Parque Santiago 2 takes special requests – add in the next step! Poor communication with owner once checked in and had problems. Apartment was filthy and clearly not cleaned properly between change overs with dirty draws etc. Only thing I would say that had been cleaned was the floors. Facilities were were poor with not even the basics to prepare and cook meals for example no oven glove and only 1 tea towel , kitchen utensils such as spatulas and serving spoons etc not there. On first day we asked for more pillows, some wine glasses as none in the kitchen and some plastic spatulas and 2 days later a not very friendly man turned up in the evening shoved a pillow in our hand 4 wine glasses and a wooden spatula so small that my kids toy kitchen utensils would have served us better! The Downstairs toilet we did not use as absolutely stinks of sewage to the point that my 2 yr old son cried if you tried to make him use it! Bleach did not help at all. There were Ants throughout the kitchen including draws and work tops meaning they were crawling all over the kitchen utensils, plates and glasses etc. They got in any food that was left in cupboards so we had to put all food in the fridge inc cereals. Preparing food the first few days was a nightmare as they would start crawling onto serving plates . They also were inside the wardrobe in main bedroom and crawling all over our clothes. We went out the following day and brought cleaning products and insect spray and thoroughly cleaned the apartment and sprayed all worktops and cracks with insect spray. We did this daily which did help to keep the ants at bay. The shutters in the bedroom do not work and there is only a see through curtain in the bedroom so you can see straight into the bedroom which is just off the promenade and restaurant opposite . We was woken up every morning early by the sunrise which is not ideal when actually the kids for the first time in 4 years have slept until 8 am! The fan in the lounge did not work as their was only one battery in the remote for it. Although easy to get to the sea front, the patio was in the shade for most of the day. The settee catered well for three people but could have done with an additional comfortable chair. The view was great on the balcony but unfortunately there were no chairs on it to sit and appreciate the scenery. Air conditioning was only really missed at night. Wouldn't stay here in hotter weeks. Finding the apartment in a huge complex not easy from the text instructions. Host was very helpful with high chair and cot but delivered them with her hand out. Pay now! No 'welcome' and no introduction, just a demand for payment and to know when we are leaving. The smell in the downstairs toilet was horrendous. We put a ban on anyone using it. The floor was really dirty. We couldn't walk around with bare feet. We stayed we 9 days and cleaning service would have been appreciated after week stay. Cutlery should be updated, lacking like toaster (which we bought to save the vacation). For the owner I recommencement to add a toaster, make sure that the apartment is well cleaned before offered and spend like 500€ some basic maintenance to make the stay more enjoyable. There is still some fixing needed for the sewage smell in the downstairs bathroom (200 € to fix?). Again good investment to raise the score. There was no outdoor seating on the 2nd balcony and the beds were a little hard. The property had a terrible smell of sewers from the downstairs toilet. It had ant infestation downstairs and in the bedrooms, on the worktops and in the crockery. The shower didn’t drain which meant we had to wait a considerable amount of time between each person using the shower. There was mound in the shower cubicle. The apartment had not been cleaned properly and the floors were thick of dust and had packaging under the beds and rubbish left under the sofa bed in the living room. There was no air conditioning. This is advertised to sleep 6 we were a party of 5 yet there was only 4 chairs and crockery glasses etc for 4 people. There was a daily charge for sun beds of €5 per person which we had not factored into the cost of the holiday. There was no air conditioning. It was very hot and our bedroom was very stuffy and hot at night we didnt know we could rent fans. Also no curtains in our bedroom facing on to the veranda/balcony. We couldnt get undressed at night in our bedroom as you could see right in to our room especially as we were facing out on to the beach and restaurants etc. Would book this apartment again if it had air conditioning in the bedrooms or good fans.